Gift tags ready to be calligraphed. 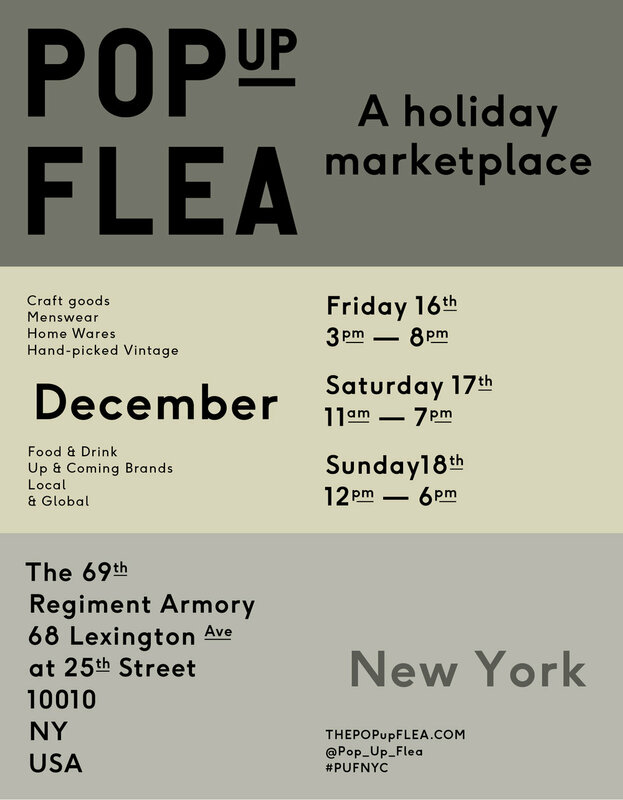 New York, New York — One of my favorite experiences in 2016 came at the very end when I teamed up with Haerfest at the holiday Pop Up Flea in the 69th Regiment Armory (a really cool historical site). I've known brothers Tim and Dan Joo since 2011. 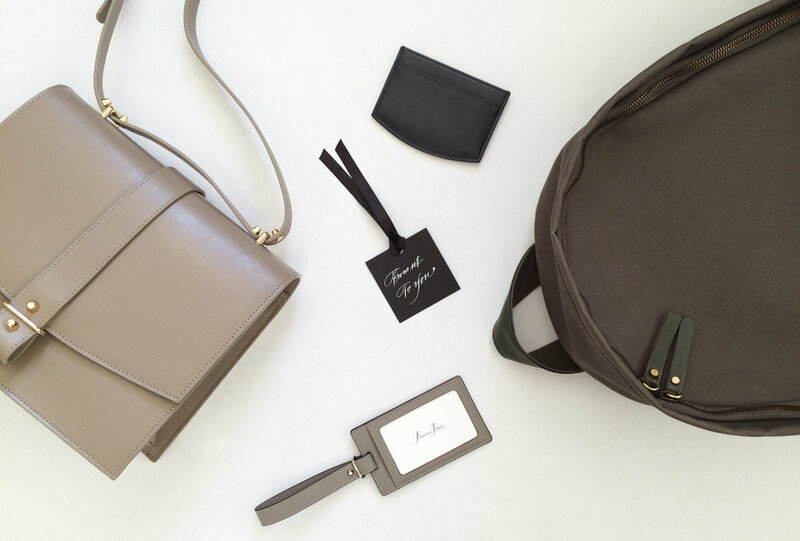 They are the hardest working—not to mention nicest—guys in the fashion business. 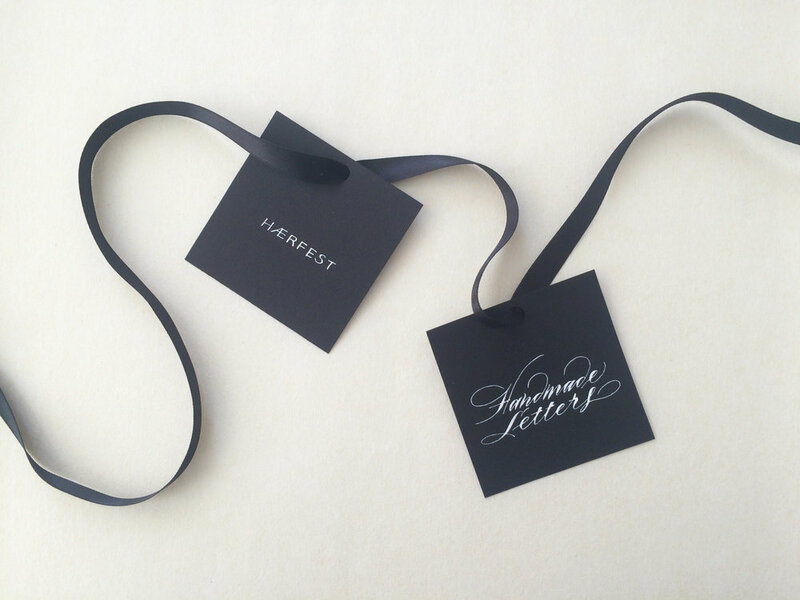 It was my sincerest pleasure to collaborate with them and hand-calligraph gift tags for their clients. The whole team (Tim, Dan, Susan, Tai and Zoe) was great and we managed to keep our holiday cheer despite the snow and the cold. Looking forward to our next time working together!